As a result of the Reconnected Tour success, Yazoo will be playing a third tourdate on Saturday 19th July. The Ticketmaster website has also details of a new date at the Lakewood Theater in Dallas, on 22th July! 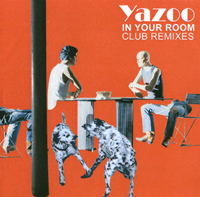 To promote the In Your Room boxset and the Nobody's Diary single release, Mute records have sent some promo Cds with new mixes of some Yazoo songs on two remix CD singles, and some great online mixes by Subway Collective! Some of these songs have been never remixed officially until now, and can only be found on these promo and on-line source, there's no confirmation about further releases of this remixes on commercial format. All the new releases will be on the Discography section soon. In Your Room box set details!!! 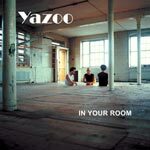 'In Your Room', the highly anticipated Yazoo 4 disc box set is to be released in the UK/Europe on 26th May 2008. 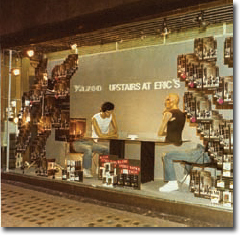 The box set features remastered and 5.1 mixes of both Yazoo's classic albums 'Upstairs At Eric's' and 'You And Me Both', b-sides and remixes. In addition the DVD features classic Yazoo television performances from the BBC, promotional videos and a new short film containing exclusive new interviews with Vince Clarke and Alison Moyet. This will be proceeded by a 12" vinyl release of 'Nobodys Diary' on the 12 May 2008. Record Store will be doing a 12" and digital bundle offer including an exclusive mix - "Nobody’s Diary – Soil In The Synth Remix". Nobody's Diary 12" to be released in May! !